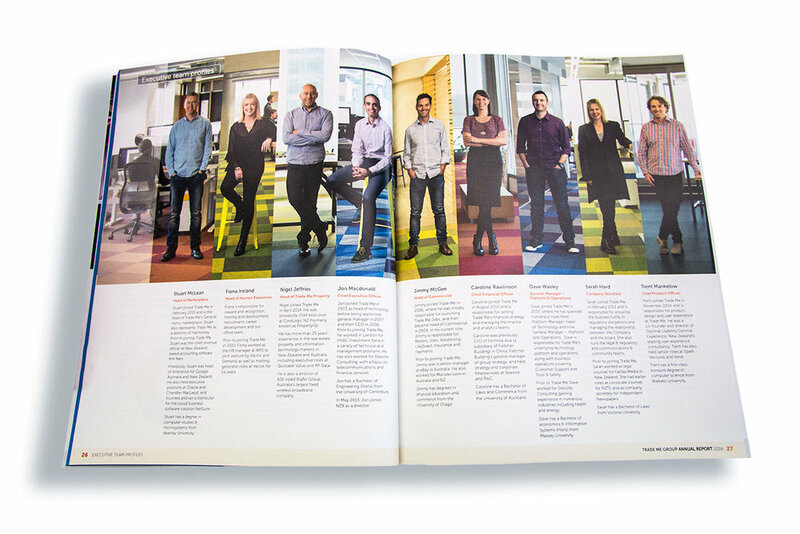 We were delighted to be invited to design the first Trade Me Annual Report. The brief was to produce a companion document to the initial public share offering document, one which was accessible and easily navigated. The design followed the initial public share offering document and included desktop and mobile websites and a printed document. Our work encompassed document design and layout, design and advice on web architecture, management of illustrations and print. We are currently engaged designing the fifth annual report.